An effectual web page of eCommerce with UX design has the ability to grab the attention of the viewers and oblige them to transform into paying consumers. It is believed by many enterprises of eCommerce, that a product page simply focuses on illustrating images of high-resolution and description of the articles. These areas, though considered to be vital for the web design, must not be reckoned as the only criterion required for success. 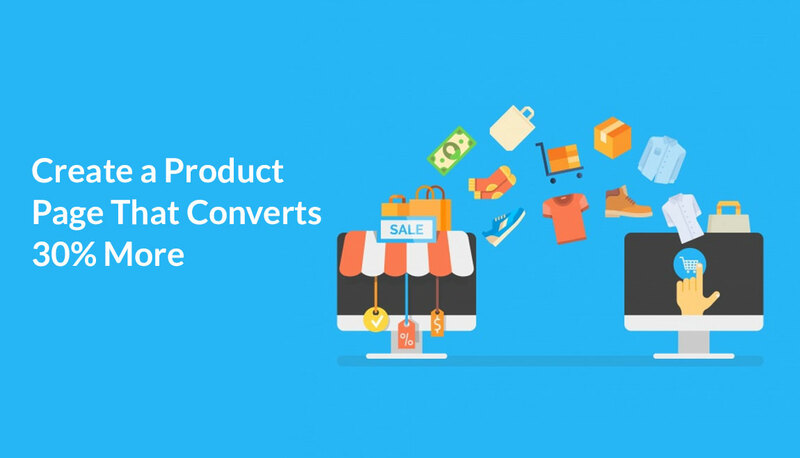 If you want to make more sales out of your product pages, it must be developed in such a way so as to ensure the conversion of a shopper to a regular consumer. Therefore, while expecting the webpage to have high conversion rate the following the points are mandatory to be considered. Precisely, the title of your article is not what really matters. Usually, your product name does not influence the conversion rate much. Nevertheless, a captivating title may add to the delight of a customer or, an urbane name may add some importance, which on the other hand would provide few additional points to that sector. The titles, hence chosen by you, must be SEO-friendly. There is a minimal difference between excessively optimized titles and SEO-friendly ones. The attention-grabbing titles are obvious to increase the conversion rate. On the contrary, if your webpage consists of superfluous keywords which can possibly be sought by the consumers, then the chances for your webpage to receive a maximum number of clicks can get reduced. In order to ensure the authenticity of your webpage, the inclusion of model, the name of the article, brand, type, etc. is essential. It is arduous for the customers to browse through an array of items while lacking the hierarchical breadcrumbs because there does not exist any other way to proceed in the hierarchy. It is somewhat similar to use the “Back” button of a browser without which you probably will be stuck or have to search confusingly for what you need. For any kind of product page, promoting eCommerce conscripted images are mandatory. The consumers must be capable of seeing the article completely that they are intending to buy. The pictures of the item, being selected should be clean, swift to be loaded, and should be endowed with options to have a closer look at the specifications. It is better to have a considerable amount of pictures of the article. You must show your product at all possible angles and at varied settings. The customer would like to see the item from all sides before deciding to buy it. Even when the customers are not visiting your corporal store, you can allow them to have an all-around view of the articles which is way easier than you think it might be. There are many services that allow you to employ your camera and produce a 360 degrees spin of your saleable item and add it to your website at a much lesser time. In case of electronic items such as tablets, mobile phones, and laptops it is extremely important to allow the consumers to have a closer view of the product details to impart them a clear idea of how it might appear when handled by them. When you upload a video in your website, it gives the customers the feeling as if you are shopping physically in a cloth-store. Videos of your articles are the extremely useful mediums to persuade the consumers to buy your product. The UX design of the websites of several companies includes videos to convince the customers to buy the item. The moving images help you understand how it might look like when worn by someone in reality. The description of the product helps the buyer foresee their lives becoming better with the article sold by you. The more you make the description of your item clear, the more is the response. The manufacturer’s description of the stock must be avoided. While generating your personal description of the product, you not only get the benefit of SEO ranking but you will also have a comfortable time in persuading your buyers to convert. Another important factor is the pricing of an article. Employ the different techniques of pricing your product for making it easier to buy. Therefore, do not make the mistake of neglecting the product page while concentrating on the optimization of the eCommerce websites. Rather focus on the optimization of the product pages exhibiting UX design, because this is the sole factor that can increase the conversion of your website.